Are you a true lover of animals and in particular of cats? 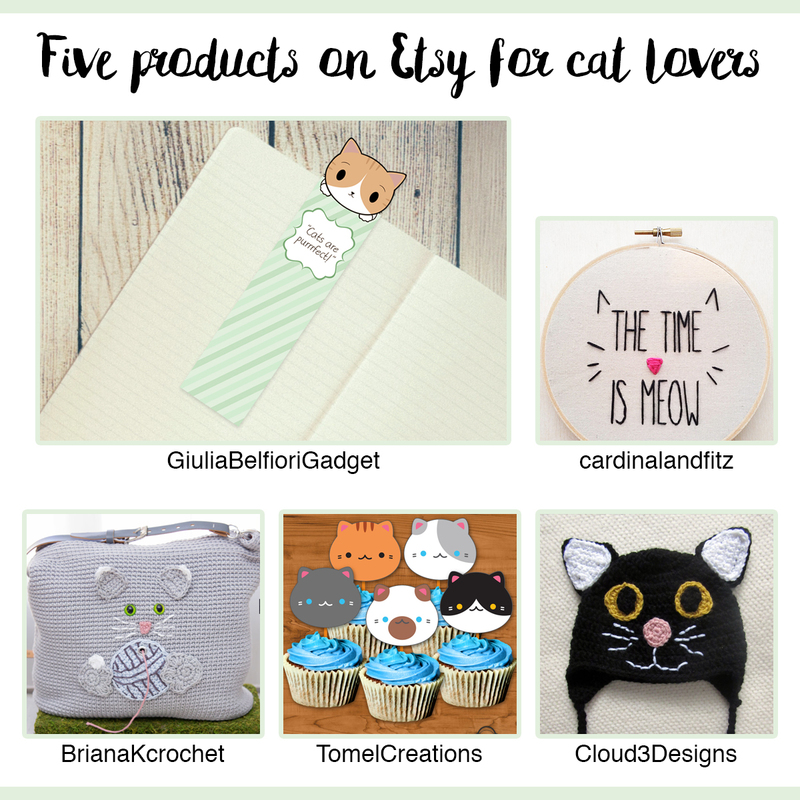 Well, so you should start taking a look around on Etsy, or if you prefer, you can read this short list of five products you won’t resist. 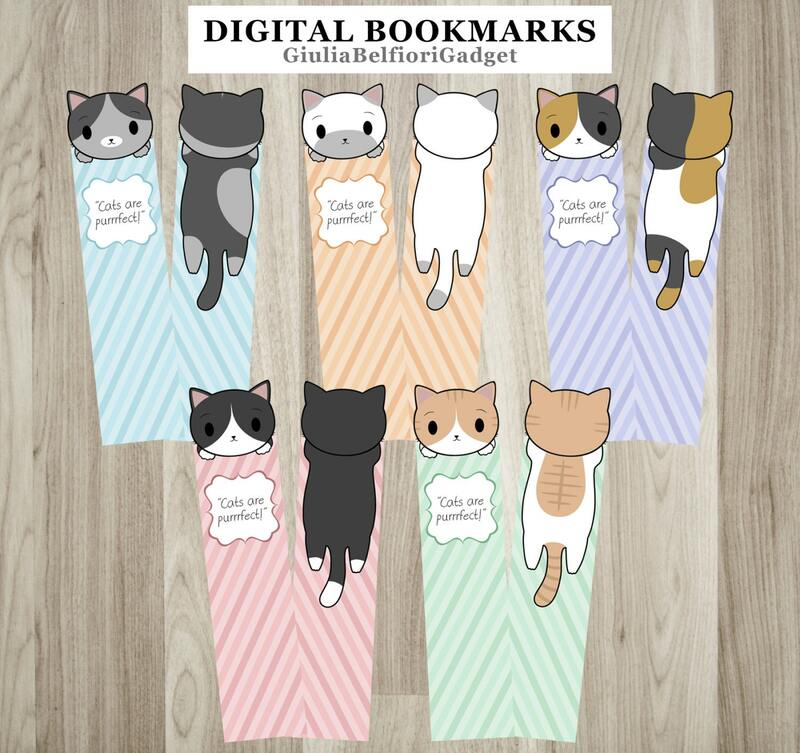 Directly from my shop, here they are five bookmarks, with the shape of hanged cats on them and the phrase “Cats are purrrfect!”. In the archive file, downloadable directly from Etsy, are contained ready to print pdf files. They include the front and back of the bookmark. You’ll only have to print them, cut them with care and glue them, and they’ll ready! Happy reading! 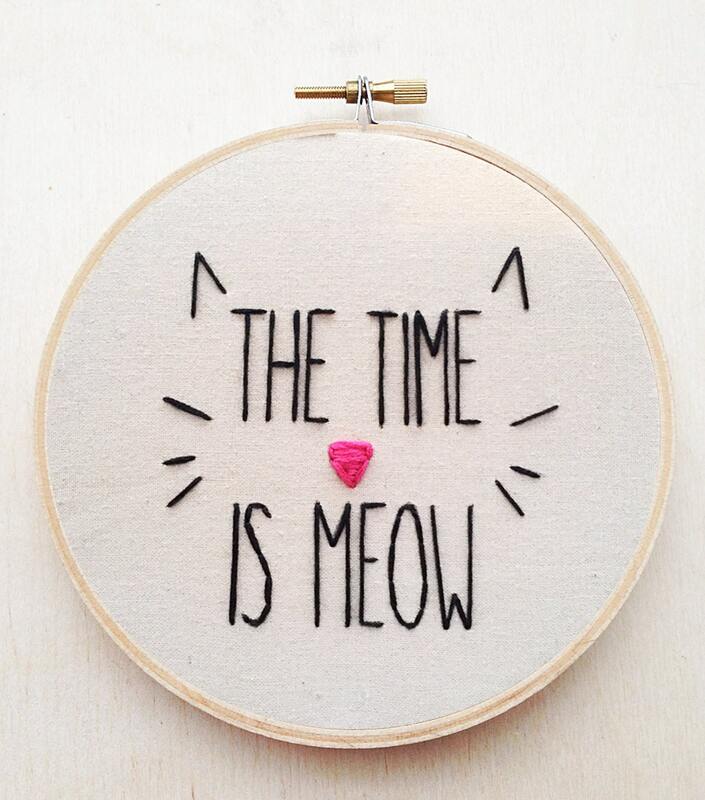 When even the walls of your home need their part of “felinity”, here there is a cute embroidered cotton fabric, with the phrase “The time is meow”. The slim is fixed on a wooden hoop of 5″. You can find it on the cardinalandfitz shop! A bag is not a such, if it hasn’t a cat on it! 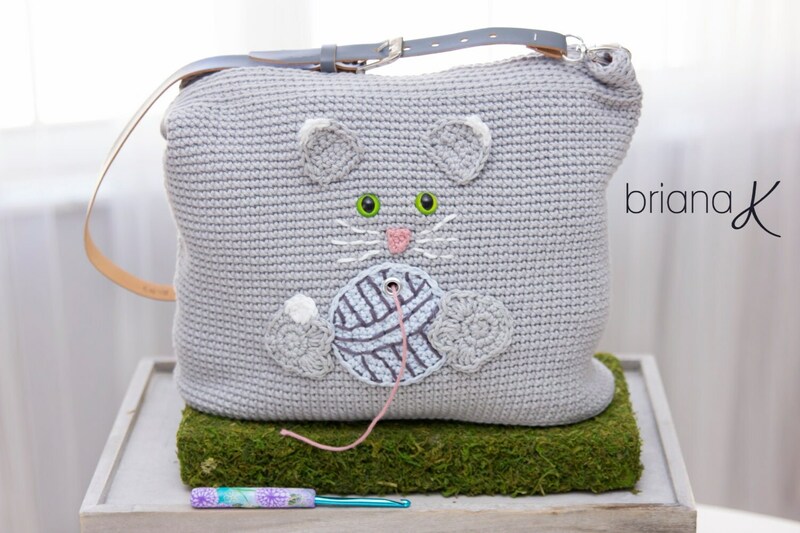 Is for this reason that in the BrianaKcrochet shop, you can find the PDF file that will allow you, following the instructions, to realize this cute and funny bag with a kitty and a yarn on the front and the tail on the back! Very funny! 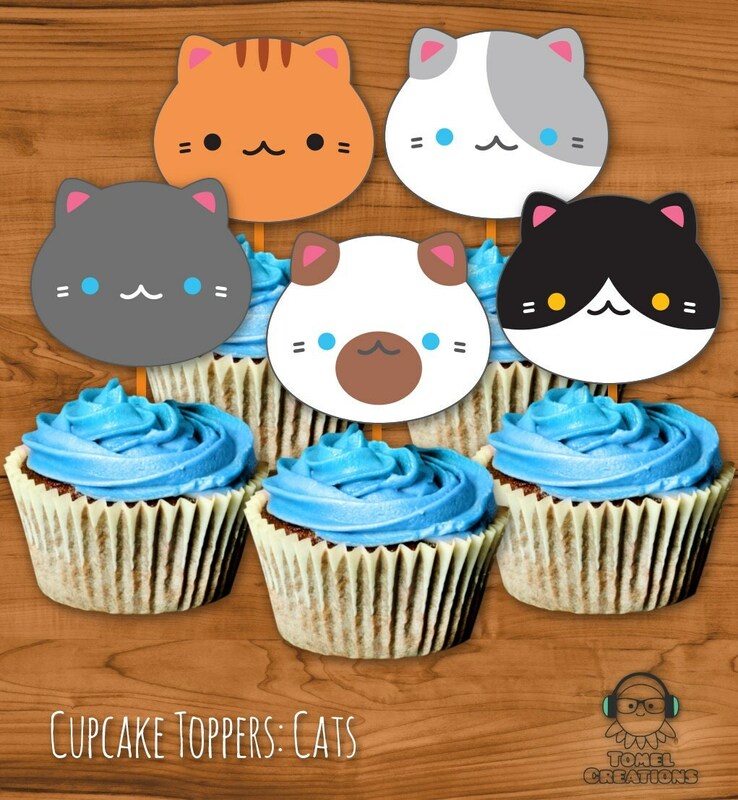 With this toppers for cupcakes shaped as cat snouts, the tenderness come in your kitchen! TomelCreations allows you to download a pdf file with 12 different printable toppers, around 2 inch larges, for decorate your culinary creations! Mmm, so yummy! Could this list lacking of an accessory for yourself? 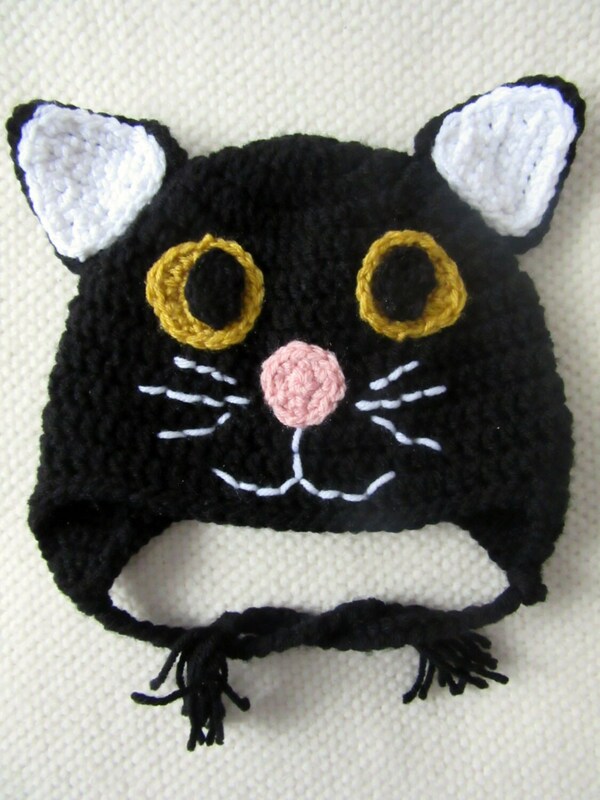 Of course not, so Cloud3Designs presents you its crocheted hats with the face of a kitty! A very tender accessory that will surely make happy lots of child! Poteva mancare in questa lista, un accessorio per la propria persona? Ovviamente no, perciò Cloud3Designs vi presenta i suoi cappelli all’uncinetto con il muso di un gattino! Un accessorio tenerissimo che farà felice sicuramente molti bambini! The list is over, I hope that you enjoyed all these products and relative shops! To the next collage!